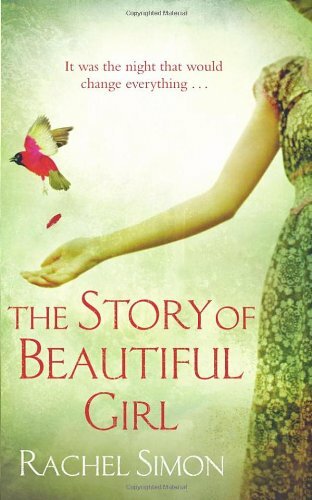 The Story of Beautiful Girl by Rachel Simon is a beautiful, heart rendering and compelling story of love, survival and the brutal face of humanity. Through 340 pages of the novel, the author takes you through an extraordinary story spanning over 43 years. It all started on a stormy night and changed the course of four lives forever. On a stormy night in small-town America, a couple, desperate and soaked to the skin, knock on a stranger's door. When Martha, a retired school teacher living a safe and conventional life, answers their knock, her world changes for ever. For they are fugitives. Lynnie, a young woman with an intellectual disability, and Homan, a deaf man with only sign language to guide him, have escaped together from The School of the Incurable and Feebleminded, brutal institution where people with disability are left to languish, shuttered away from the world. In a moment of despair, they reveal that Lynnie has a new born baby. But, moments later, the police bang on the door. Homan escapes into the darkness, Lynnie is captured. But, just before she is returned to the School, bound and tied, she utters two words to Martha: 'Hide her'. And so begins the unforgettable story of Lynnie, Homan, Martha, and baby Julia- lives divided by seemingly insurmountable obstacles, yet drawn together by a secret pact and extraordinary love. I was hooked to the book, right from the beginning. As I had never come across any such institutions or have known any such person, I shuddered at the thought how parents of such children could leave them and move on in life. Told in first person in alternating narrations, the book tells about the life of such abondened children in institutions. The writing style is clear and fluid. At times I found it diificult to grasp Homan's narration. Imagine giving words to a deaf person's feelings! Kudos to the author for being able to narrate the story through two main characters who are actually intellectually disabled and are lacking in the basic commmunication skills. There is another character important to the story, Kate. She is a carer at The School and tries her best to make Lynnie's life less miserable and protects her, encourages her in all ways possible. There is so much more to the story, how Martha gets on with the baby, how Lynnie lives without the baby, how Homan finds his way in the world outside the institute and what future awaits them all. The novel is named such after Lynnie, Beautiful Girl is what Homan addresses her in his thoughts. Thanks for this review Jyoti, this is going straight on my Wishlist.